Diagnostic Fault Finding is becoming a black art few actually do very well. Imagine your TV develops a fault…you take the back off of it and try finding the problem and then fix it? That’s what we are faced with every day….its not easy.. cars are getting very complicated and new levels of sophistication appear daily. Vehicle Diagnostic fault finding is an extremely complicated and skilled area and its very difficult to find people up to the task. With over 20 years of experience (established in 1992) in this area and many local garages including main dealers using us to diagnose vehicles faults we are well placed to help you. At Turbopacs we pride ourselves when undertaking diagnostic fault finding with not fitting parts to a vehicle UNLESS that part has in fact failed ! When your car develops a fault, the very first thing we need to do to start diagnostic fault finding is plug into its diagnostic port giving us access to the vehicles onboard computer (ECU) and interrogate it. Faults that are detected…(yes that’s right your car checks itself all the time) are then displayed. When this list of faults has been accessed they have to be checked off to see if they are current and if they are, then you might assume that you have found the faults… sorry its not that simple…fault finding rarely is. Think about it ? just because your lights go off at home it does not mean the bulb has blown and the same holds true with your car. Diagnostic fault finding is the way to resolve the problem. The (live) faults and the components that they relate to then have to be checked sometimes with a lab scope to test that they are operating and at the level it/they should and in many cases there’s more than one fault . In addition visual checks are undertaken along with road and dyno tests as and when deemed nessesary. Even when this has been completed, wiring circuits etc might need checking. We are the largest Response Chip dealer in the North East. 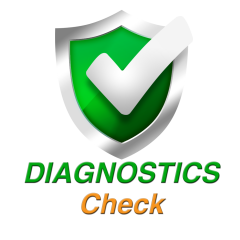 We have state of the art diagnostic packages,. Even 2 Rolling Roads…when many garages don’t even have a fax machine !…what on earth can they hope to achieve….. Call the experts at Turbo PACS on 0191-3863422 for all your diagnostic and fault finding requirements…we will get you back on the road fast. The benefits are simple…you only spend money repairing the real faults not ghost faults, the car is off the road for the minimum period of time, hassle is kept to a minimum.